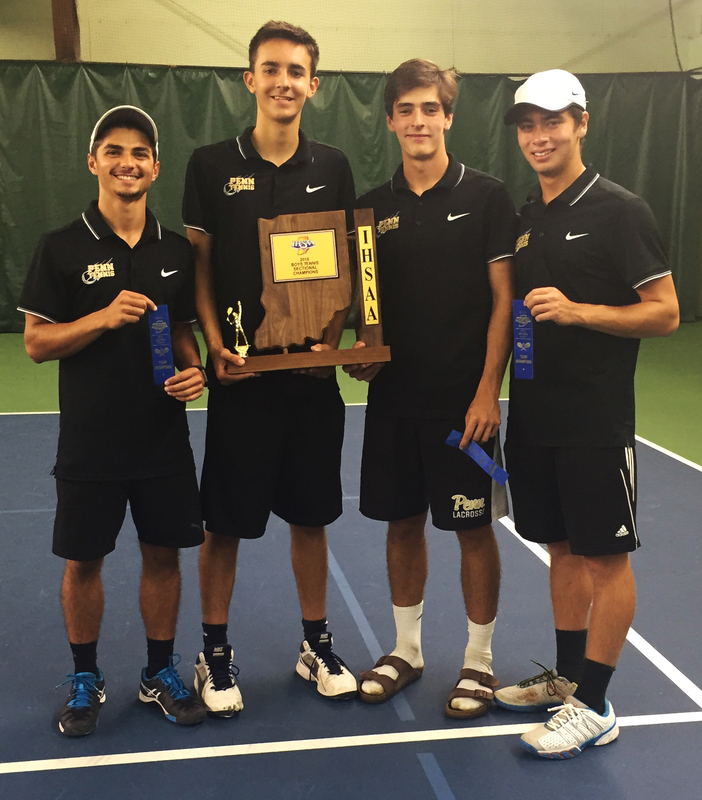 Coach Eric Bowers’ Penn Kingsmen Boys Tennis team captured its 15th consecutive sectional championship, defeating South Bend Adams, 4-1, on Friday, Sept. 30. The Kingsmen advance to regional action next week. A.J. Antonelli (Penn) def. Thomas Han (Adams) 6-4, 6-0. Donnell Williams (Adams) def. Owen Kleppe (Penn) 6-4, 6-4. Sid Das (Penn) def. Zach Fernandez (Adams) 6-4, 7-5. Mason Lee/Cole Pollyea (Penn) def. James Dokes/Matthew Peterson (Adams) 6-0, 6-0. Eric Spaargaren/Jack Spalding (Penn) def. Edward Nagy/Elliot Zyniewicz (Adams) 6-2, 6-0.